Buganda Province vs Lango Province @Bishop SS grounds, Mukono- 4pm. 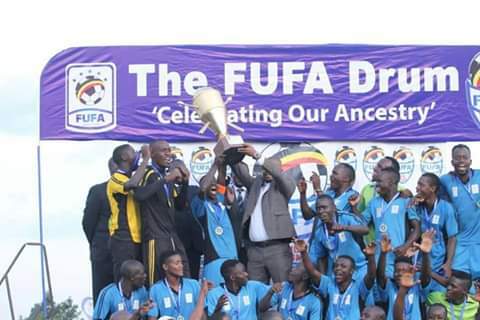 The 2nd Edition of the FUFA Drum tournament gets underway this evening with defending Champions Buganda hosting Lango at Bishop grounds SS in Mukono in a game that is expected to attract huge crowds. With Lango aquiring the services of Uganda Cranes leagend David Obua as head coach, it has without a doubt sparked more fire in this encounter with many football lovers eager to see if his tactics will reflect the kind of football he played back then. On the other hand, Buganda head coach Alex Isabirye strengthened his squad by summoning league first and second leading scorers in Juma Balinya and Bashir Mutanda respectively and he highly hopes to garner maximum points unlike the last edition when Buganda shockingly fell to Kigezi at home on match day 1. Lango who never progressed past the group stages last season look a far much better prepared side this time round with KCCA FC tried and tested midfielder Allan Okello, Maroons FC forward Bronson Nsubuga and Wanock Petit expected to lead the hunt for glory. With the presence of last Edition’s MVP Viane Ssekajugo, Solomon Walusimbi and now Balinya and Mutanda, Buganda will without a doubt be a hard nut to crack. The highly anticipated opening ceremony will be graced by the Katikiro of Buganda Owe. Charles Peter Mayiga.